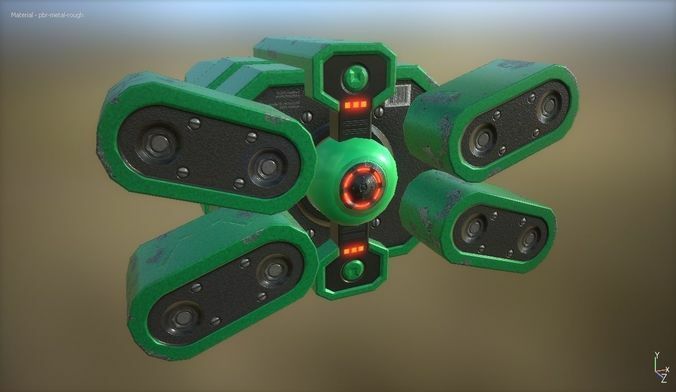 Low-poly game-ready futuristic device that can be used as a weapon/gravity manipulator/etc. Preview images were taken in Substance Painter. Having the high poly version included too would be better.. There's no high poly version. The normal map was painted by hand.